Flip a coin. If you win the flip, you gain 1 life and target opponent loses 1 life. 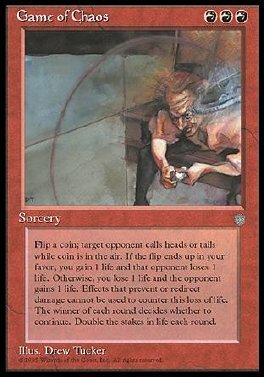 If you lose the flip, you lose 1 life and that opponent gains 1 life. The winner of each flip decides whether to flip again. Double the life stakes with each flip.